No plans for New Year’s Eve this year? 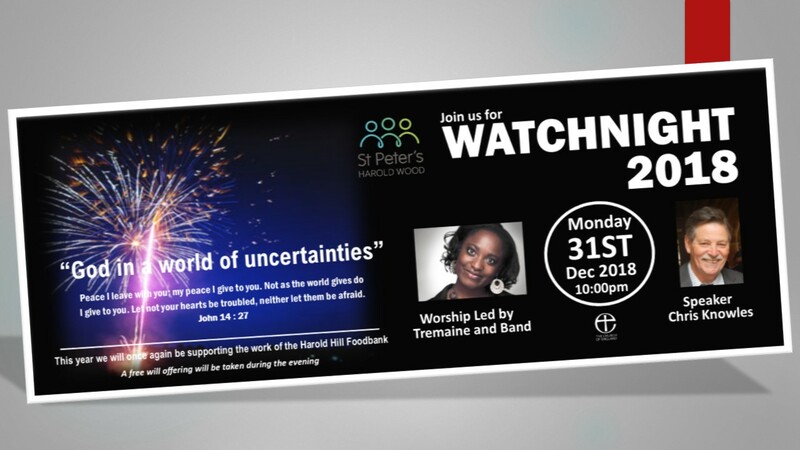 If you don’t please consider joining our good friends at St. Peter’s Church Harold Wood for their annual Watchnight service on Monday 31st December 2018 at 10pm. 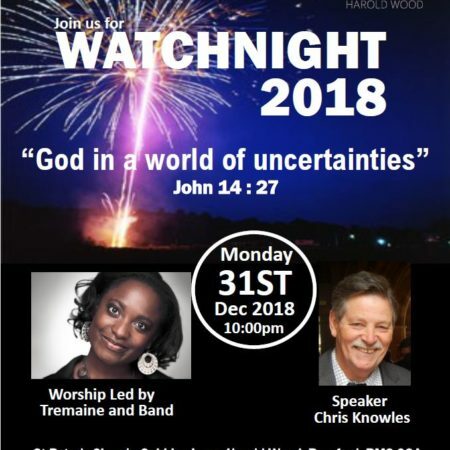 Praise and worship will be lead by Tremaine and Chris Knowles will be preach from John 14:27 on “God in a world of uncertainties”.